I am over the moon with the news that a large selection of my reprint and original science fiction short fiction, spanning about 6 years, will be collected in a book by Cohesion Press (the same publishers of my young teen fantasy novel, Guardian of the Sky Realms). A lot of details are still to be sorted out, but a great wad of short stories and a novelette are in the publisher's hands, and the lights are green for next year. Stay tuned, folks. Pleased to see a print home for my reprint novelette, 'The Curious Case of the Frozen Revenant', in the soon-to-be published anthology, Penny Dread Tales Volume IV: Perfidious and Paranormal Punkery of Steam (Runewright, ed Christopher Ficco). 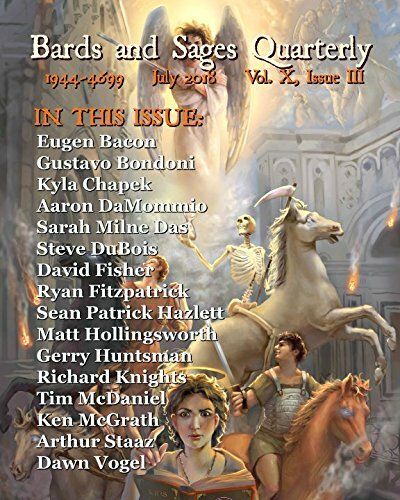 I've long had a long association with the publisher, and have been fortunate to have a short story or novelette published in each of the Penny Dread Tales anthologies. I expect the title to be released in coming weeks. Very pleased to have my steampunk western novelette, 'The Strange Case of the Frozen Revenant', accepted in Runewright's Penny Dread Tales IV. This means I have had a short piece of fiction published in every single volume, which is a good feeling. This novelette is a reprint – it was first published in 3 parts in Tonia Brown's Story Station interlude to her Railroad! serial. The work was a lot of fun to write as it isn't dark and has light moments – something very refreshing. And I think it's a pretty good story anyhow. Stay tuned on a publication date. While I have your attention, I have had a short story accepted last night to an Australian anthology – more information when I'm allowed to divulge.